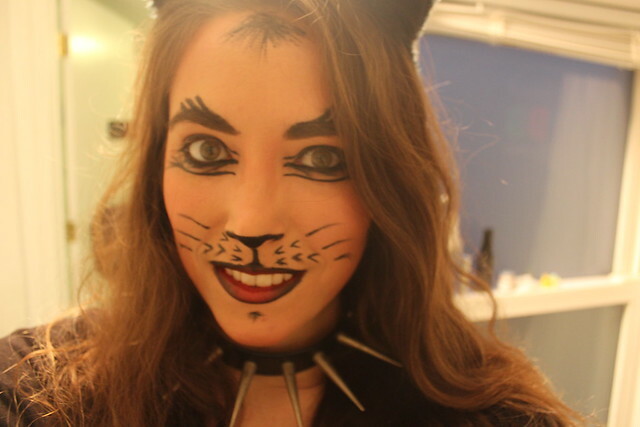 The makeup I did for my Halloween costume (a half-way Jellicle cat) was half-way as well. 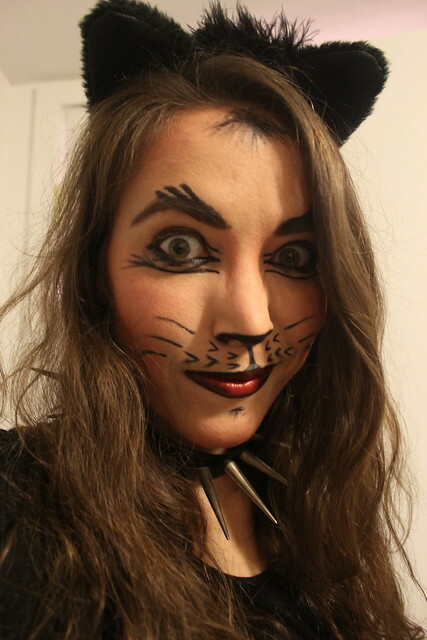 I used normal makeup as the base; foundation and bronzer. Then I used Ben Nye in black for all of the details. 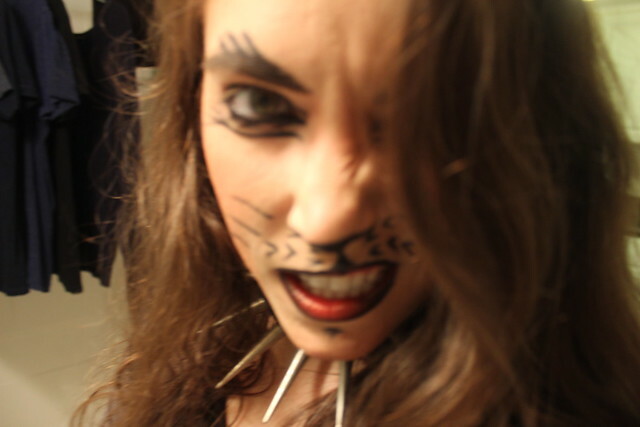 I then threw on some lipstick and set the black with powder and I was done! 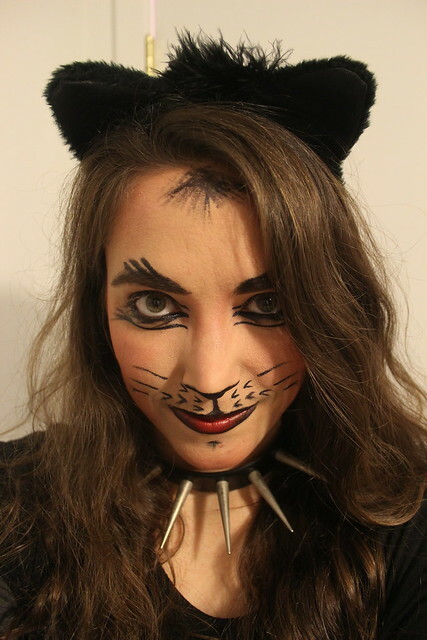 Simple and casual, perfect for a simple and casual Halloween.